CardMonkey's Paper Jungle: Card Kitchen Kits - I love them! 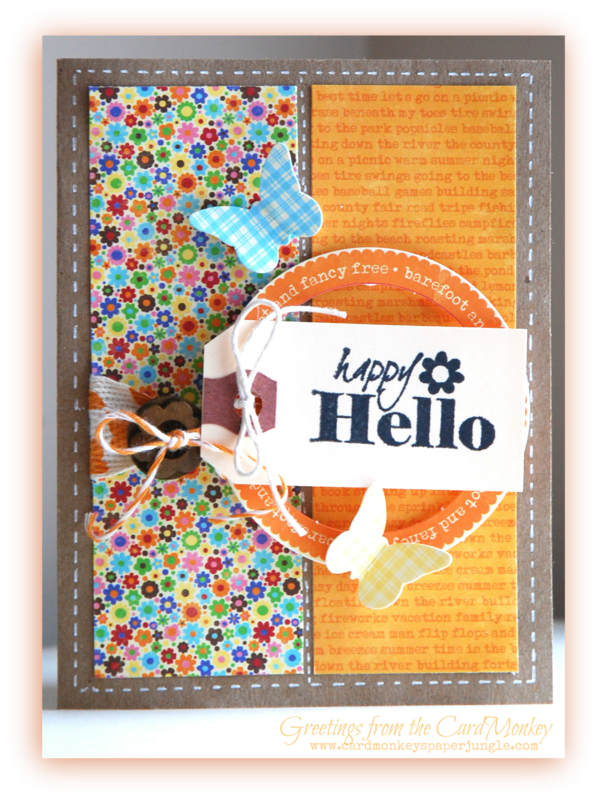 Have I told you how much I enjoy making cards from The Card Kitchen's kit by Jillibean Soup? I'm a subscriber, which means that during the first week of each month, I receive a stack of paper, embellishments and better yet, ideas, that stretch me out of my comfort zone ... and also relax that stress of thinking. Here's one card that I made from this month's Card Kitchen kit. It's close to the plan ... I added a few of my own touches (like the faux white gel pen stitching). 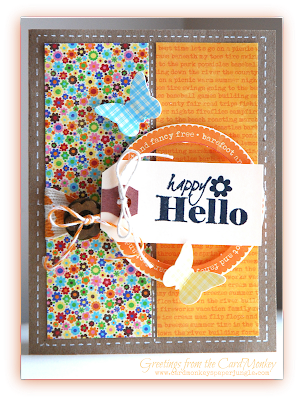 Stop back tomorrow for the Lemonade Blog Hop! Love this card. Love the bright fun colors and patterns and the butterflies are very pretty. The faux stitching gives it a nice touch. Cute card and nice idea with the monthly set coming and helping out. That would probably help me but I have so much paper to use up first. Hugs from Lorby. Love the colors and lo of this card. The faux stitching I am so trying! Thanks for the inspiration!